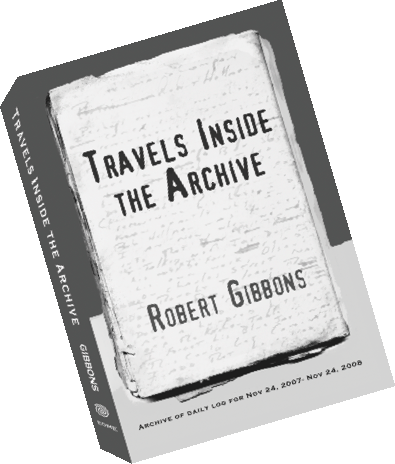 Robert Gibbons's fifth full-length book, Travels Inside the Archive, is available from Edge of Maine Editions. It contains work written daily over the period of a year & a day. Both Guy Davenport & Marjorie Perloff have compared his work favorably with Arthur Rimbaud. Richard Hoffman writes, "Travels Inside the Archive is magnificent! An enactment of full consciousness in our time. It takes so much learning and so much discipline to be so naked and free... Bravo! 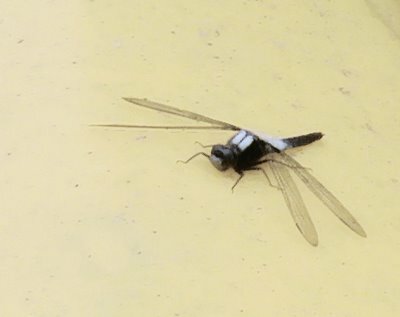 "-(click on the book) Published by Edge of Maine Editions.